This came in from Louisiana. 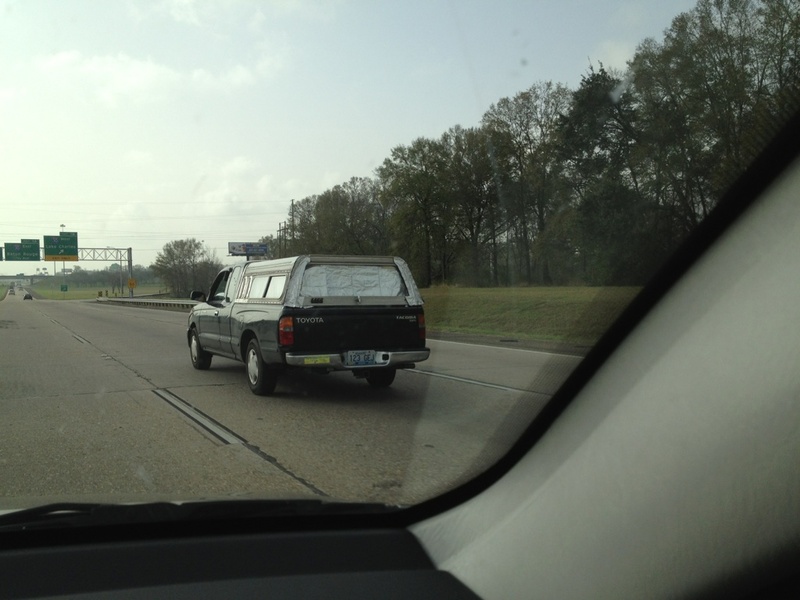 At first, I thought the aluminum foil was there as a cheap alternative to window tinting or something to keep anyone from seeing what’s in the back of the truck. 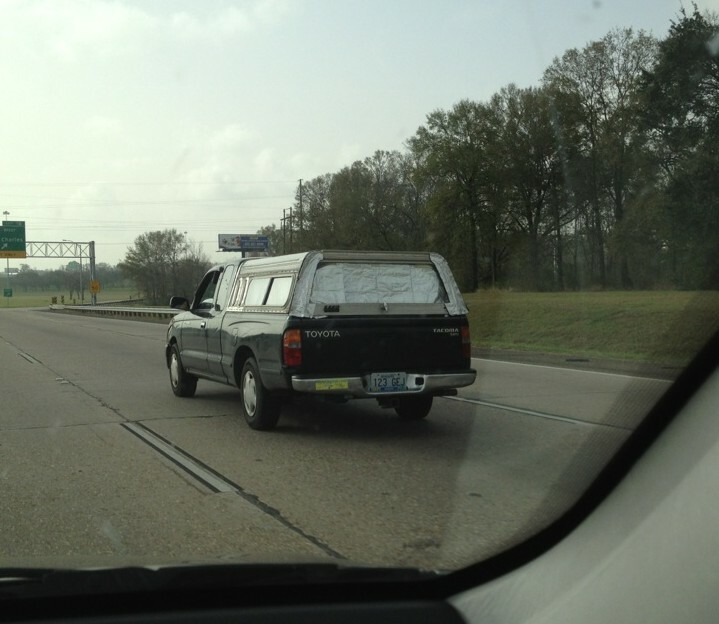 If that was the case, then why-oh-why is there foil on both sides in the back on the outside? So, now I’m thinking it’s a stylistic element as well. Form and function, right? Tacoma owner: Your Trailer Park Is Showing! This entry was posted in Submissions and tagged aluminum foil, LA, tacoma by Harry. Bookmark the permalink.